This unsigned oil on canvas Dutch school painting is a beautiful example of Flemish still life painting at the height of the genre. Jacob Van Walscapelle was a prolific painter of the early eighteenth century. This piece may be of a later period but has captured the master's execution in light and pallet. CONDITION: Some craquelure. 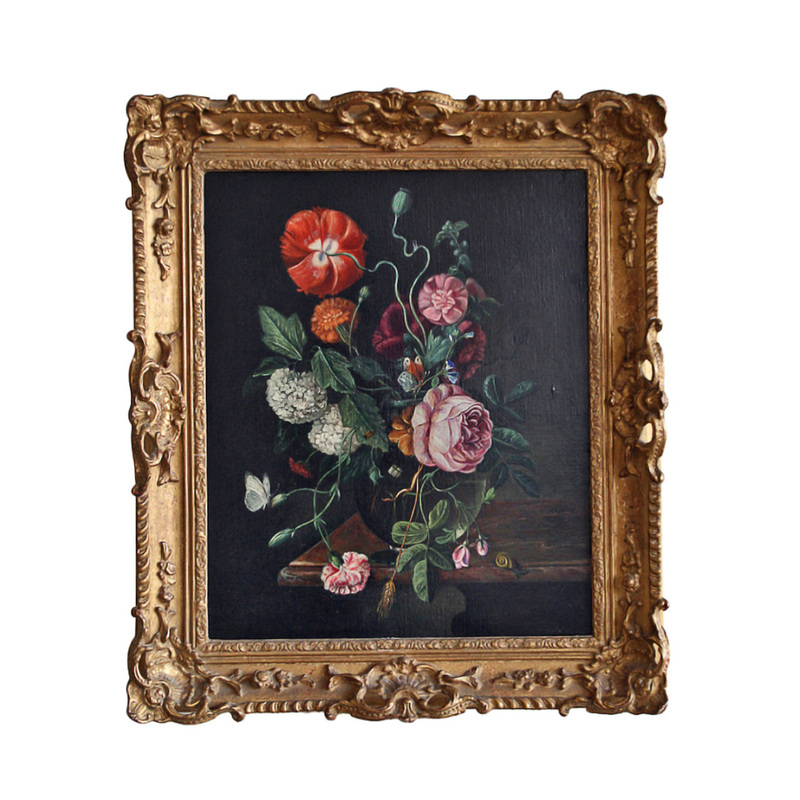 In a period carved gilt on wood frame. The frame is distressed in some areas.